[Friday] the Grand Chamber of the European Court of Human Rights in Strasbourg, France, ruled that Italy has not violated human rights by requiring crucifixes to be displayed in Italian state-school classrooms. Voting 15-2, the Grand Chamber reversed the earlier decision of a lower chamber of the Court finding the crucifix displays to violate European human rights norms. The case was brought by Soile Lautsi, a Finnish-born mother, who argued that the presence of a crucifix violated her right to educate her children in accordance with her atheist beliefs. The lower chamber’s decision had invoked a firestorm of criticism from religious and government officials across Europe, with even Pope Benedict XVI commenting unfavorably on the ruling. The Grand Chamber’s reversal today was immediately hailed by government officials in Italy and elsewhere. The Becket Fund authored a friend of the court brief in collaboration with Professor Paolo Carozza of Notre Dame Law School on behalf of a coalition of 37 European and American law professors. Although the brief was not officially accepted by the Court for review, the Court’s decision and the concurring opinion of Judge Ann Power drew on arguments made in the scholars’ brief. 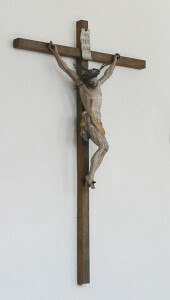 In particular, the Court noted that because the crucifix is a “passive symbol” it does not offend neutrality, and that it was not part of “compulsory teaching” of religious beliefs. Judge Power’s concurrence noted the difference — emphasised in the scholars’ brief–between coercion in religious matters on the one hand, which is forbidden, and mere offence on the other hand, which is not. Judge Power also stated that the crucifix “acts as a stimulus to dialogue” and therefore led to true pluralism. “We are happy to have been able to contribute to the discussion a perspective on religious liberty that is amply reflected and confirmed in the court’s ruling today. The peoples of Europe need to be free to grapple with the dynamic relationship between faith and reason, and between the state, society and the individual, in the context of their own particular cultural and historical experiences,” said Professor Carozza. The coalition of law professors brief is available here.